Madeline Conroy has a rich movement background in ballet and Argentine tango. She has a degree in Kinesiology and has worked in physical therapy for 5 years, where she has worked with diverse populations. GYROTONIC® has been very influential on her dance technique and movement education, constantly pushing her to new limits . 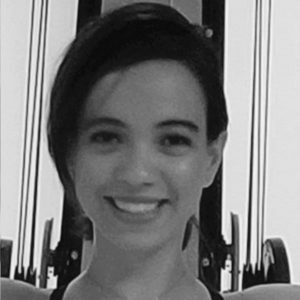 She hopes to share her knowledge with individuals to help increase strength, improve flexibility and find enjoyment in their body’s possibilities.